The Château d’Ittenwiller has dedicated itself to winegrowing for over eight hundred years, making it the oldest vineyard in all of Alsace. 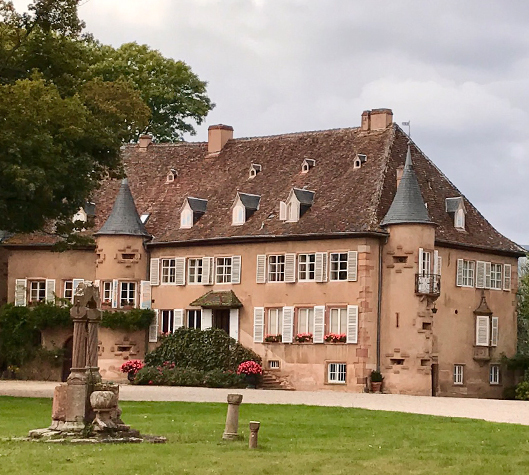 Located in the heart of the vineyards of Bas-Rhin just a few kilometers from Barr, the wine-growing city of Bas-Rhin in the heart of the Alsace Wine Route, Château d’Ittenwiller offers rare wines with an exceptional finesse. Only 3 vineyards in Alsace have earned the right to bear the name “Chateau”. In order to obtain this mention, the castle must be located directly on the vineyard property. Château d’Ittenwiller’s winemaking culture dates back to the French Revolution. 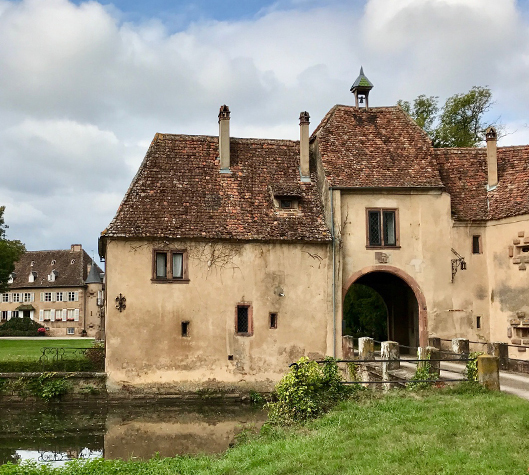 The estate was originally a priory owned by the Archdiocese of Strasbourg and fortified by the Augustinians. In 1808, General Coehorn (forefather of the current owners, the Counts of Andlau family), known as the “Bayard” Alsatian, acquired the estate and began the winemaking tradition by cultivating the 3 hectares of vines located within the enclosure. Convinced by the great reputation of Willm wines in France and abroad, the current owners of Château d’Ittenwiller (the Counts of Andlau) decided to entrust Willm with the exploitation of Château parcels starting in 2016. The Château d’Ittenwiller recognized the passion and strong vision for winemaking they shared with Maison Willm, and sought to breathe new life into some of today’s lesser known wines. The rapprochement was a logical turn of events. Today, Maison Willm is honored by the trust that Chateau d’Ittenwiller has instilled in them, and takes its winemaking duty very seriously, making wine from the chateau’s 3 hectares, all the while preserving the wine’s original identity from the time of the French Revolution. The first vintage from this Alsatian alliance was born in 2016. From this unique collaboration, the 2016 Grande Réserve was born. This wine reveals notes of fresh fruit and candied citrus, imbued with elegance and harmony and enhanced by a touch of minerality. Ideal as an aperitif or with appetizers, it is best served with panache seafood and fish. It also goes well with poultry, exotic and Asian cuisine.